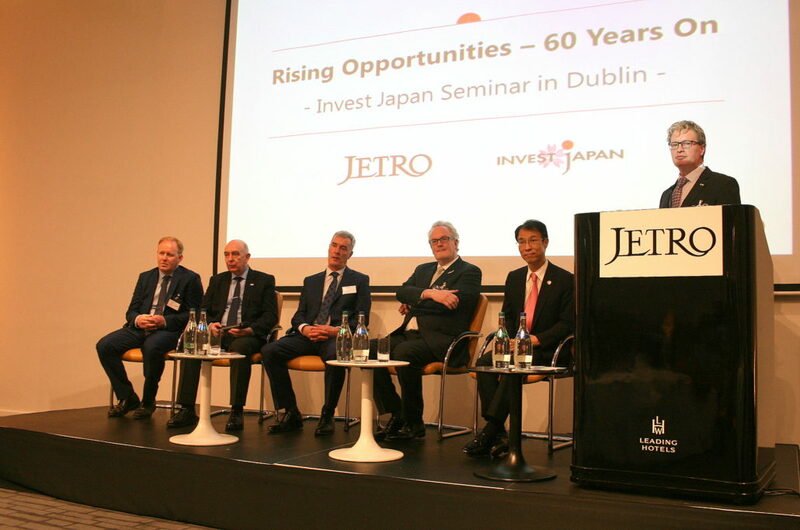 2017 marks the 60th anniversary of the Ireland-Japan diplomatic relationship and this is an important year to enhance further economic ties between the two countries. 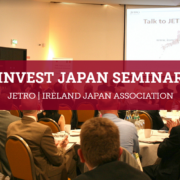 On 1st June 2017, JETRO organized Invest Japan Seminar in Dublin as one of the events to commemorate this momentous occasion. 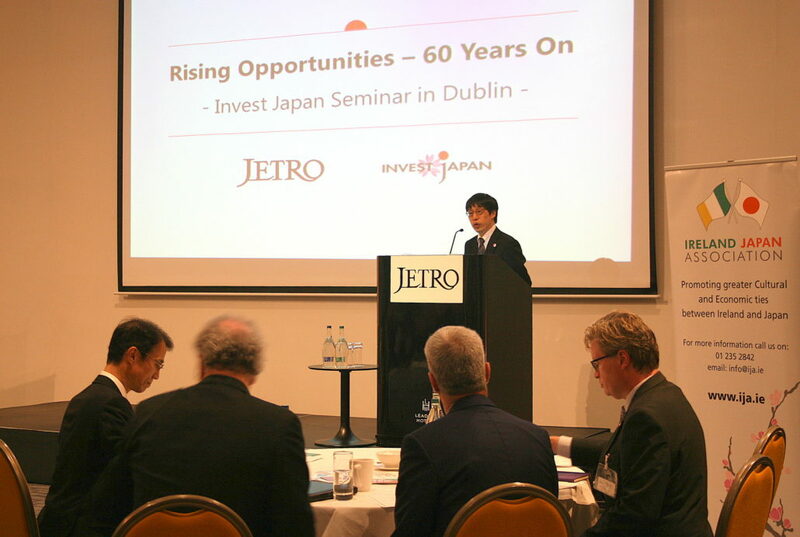 Mr. Toshihiko Sakaguchi, Director General JETRO London, gave the opening speech and welcomed Japanese Ambassador to Ireland H.E. Mrs. Mari Miyoshi, the guest speakers and all the attendees to the seminar. Japanese Ambassador to Ireland H.E. 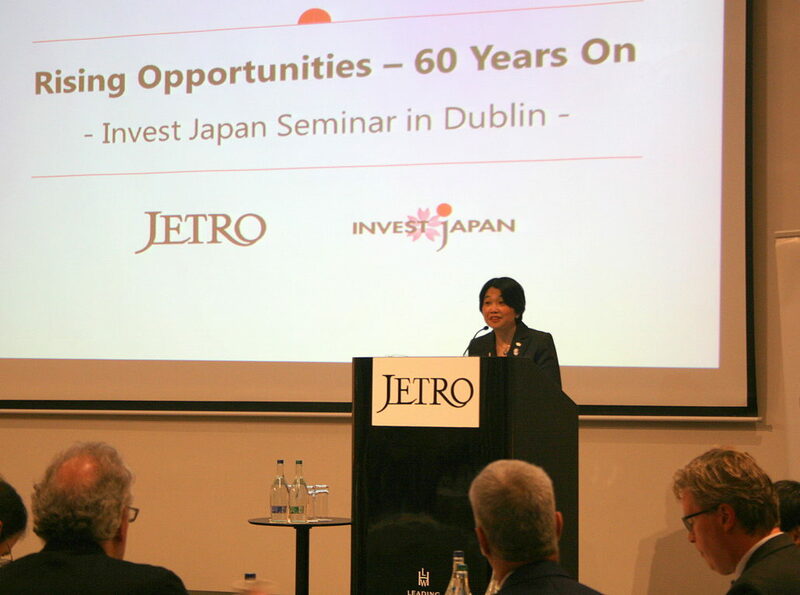 Mrs. Mari Miyoshi welcomed all participants to the seminar and encouraged to explore the possibilities offered to Irish businesses in Japan. 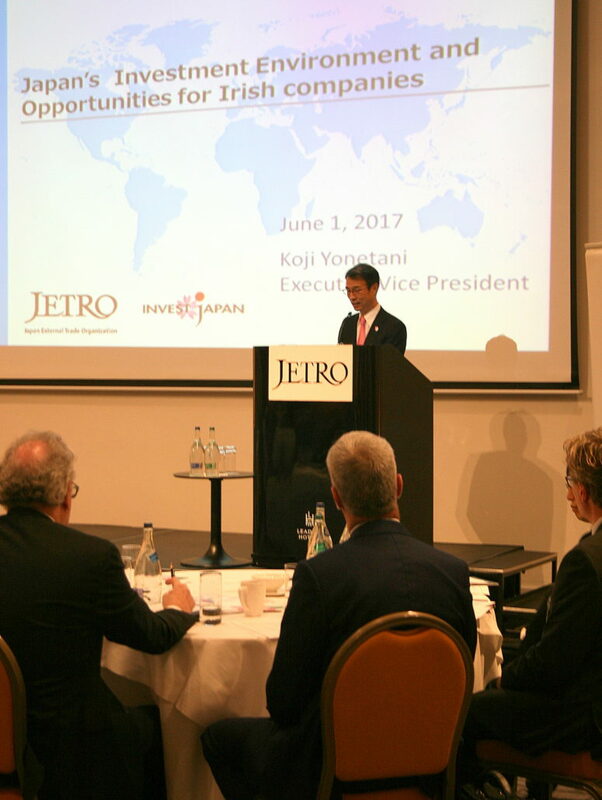 The keynote speech on economic outlook and business opportunities in Japan was given by Mr. Koji Yonetani, Executive Vice President, JETRO. Mr. Eddie Hughes, Manager, Dairy, Functional Foods/Ingredients, Beverages & Food BREXIT Team, Enterprise Ireland. Mr. R​aymond Hegarty, IP Strategist and IJA Council Member led a panel discussion with all the speakers giving the audience an opportunity to ask questions and exchange opinions and experience about business environment in Japan. The event concluded with non formal networking while enjoying delicious Japanese canapes and sake. 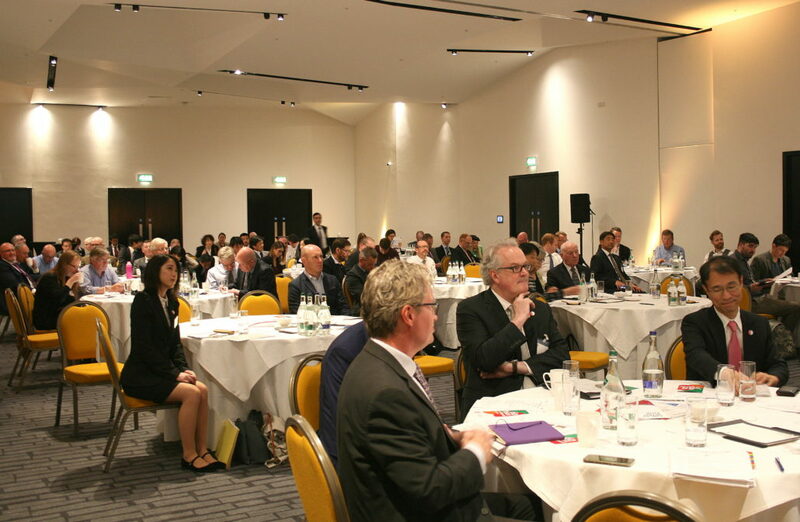 Ireland Japan Association would like to thank Japanese Ambassador to Ireland H.E. Mrs. Mari Miyoshi, the guest speakers and everyone who attended the seminar, and we look forward seeing you at future events! 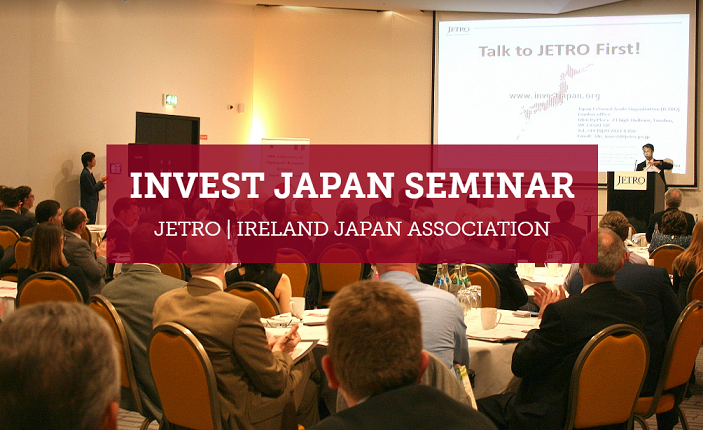 Invest Japan seminar was organized by JETRO and supported by Ireland Japan Association, Embassy of Japan in Ireland and Enterprise Ireland. More photos from the event are here!